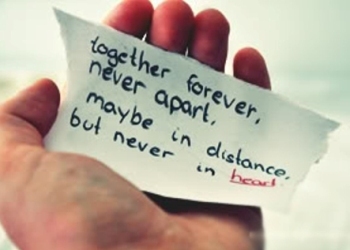 Tired of being apart from your partner at long distance? Mobile dating websites might be the only solution of the problem for you! Meet some of the best free resources on the web to keep you both of you in instant contact. Online dating website HowAboutWe has recently launched this application for iOS based platforms to keep all couples in love on the same wave. It can boast a unique option called “secret messages” for exchanging photos and messages, which remain hidden until your partner reveals them. Then you can also personalize your photos with various fonts and stickers, start so-called “halfsies” photos that let your partner complete them and of course take advantage of the voice messaging. This new totally free dating app is just what you have been searching for – perfect choice for couples at long distances. With it you can only select one other “pair” with whom you share your time and so you can post anything you might think of: photos, video messages, sketches, or voice messages. Each time that you are online at the same time with your pair, you can use a unique ThumbKiss feature, which prompts you to touch the screen exactly at the place where your pair is, which will make your both phones vibrate. If you have ever dreamt of your personal ideal social network that would consist of your friends only, Path is exactly what you need for your purposes. Although this well-designed dating app was created and launched to be used by the small groups of people, it will perfectly work as well with a network of two people. Using Path app, you obtain a wonderful opportunity of sharing your life with any other person the way you like – showing places where you take your morning runs, music you are currently listening to, whether you are awake or asleep, etc. You may as well interact with your partner’s activity with the help of five different emoticons. They are traditionally Smile, Laugh, Frown, Gasp and Love. Although your timeline via Path is set as private by default, you can always rely on cross-posting either to Twitter, Facebook, Tumblr or Foursquare. Probably one of the most popular clients (now mobile as well) for instant messaging, calling, video chats, Skype is an excellent alternative for you. The only thing is that your partner needs to be signed up for Skype to make your call free. A totally free WhatsApp is a truly up-to-date cross-platform messenger, which perfectly works on any smartphone or iPhone/iPad, Blackberry device and so on. With WhatsApp, you can send videos, images, and voice notes, – for free and regardless on the communication device you both use with your partner.